Two exhibitions I’m in coming up! The Draw II will take place at 7pm Thursday 23rd April 2015 at The Cello Factory, 33-34 Cornwall Rd, London, SE1 8TJ. The art will be on display and open for public viewing daily from Thursday 16th April from 2-6pm. 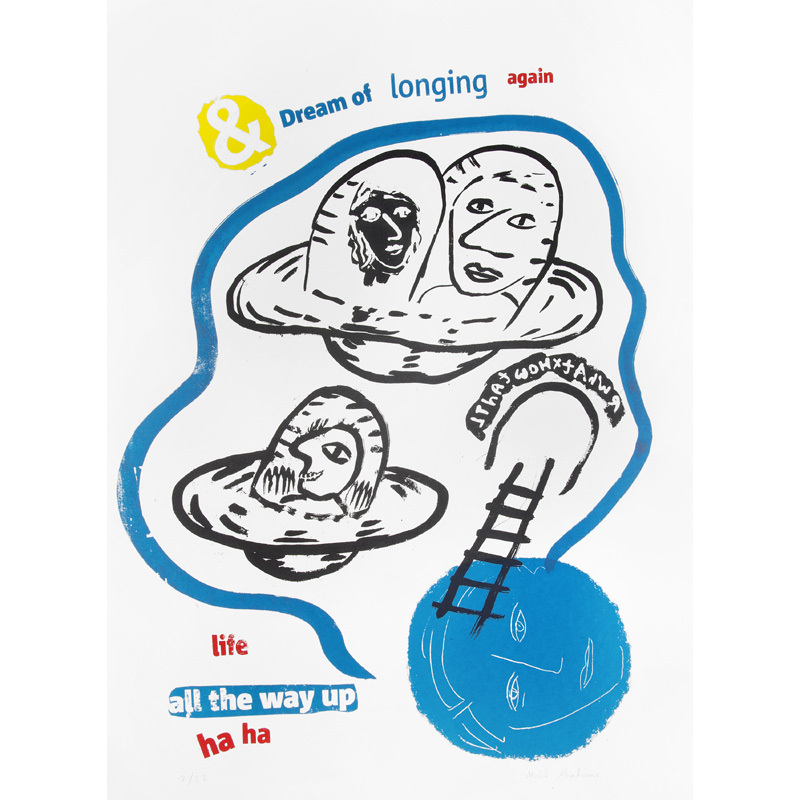 Over 130 artists, including me – see Dream Of Longing Again below, have donated art to raise money for The London Group to fund the Open exhibition 2017 and to tour a selection of that exhibition. Works have been donated by London Group members, invited artists and artists who have shown with the Group at recent Open Exhibitions. Five Royal Academicians who are London Group members have donated and other eminent participants include Glen Baxter, Eileen Cooper RA, Robyn Denny, John Edwards, William Feaver, Peter Freeth RA, Mail Morris, Deanna Petherbridge and Stan Smith (past London Group President). 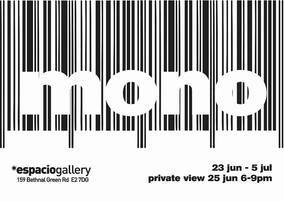 Mono is a month-long black and white season at Espacio Gallery divided into two parts:Mono 1 and Mono 2. All the artists taking part have been free to explore the challenge of making monochrome statements using a variety of styles, subjects and mediums.Black and white are polar extremes for the artist, and for all of us another way of saying Yes/No, Good/Bad, Hero/Villain. Similarly, white light contains all colours – black their absence – and it is this duality which gives us the magic of old photographs and cinema, as well as works by famous contemporary artists such as James Turell, Bill Culbert and Jenny Holzer. Yet aside from these positive and negative aspects black and white also can suggest refinement, taste stripped back to the simple contrast between two elements. Without the emotional charge of colour the artist’s intent and expressive means are laid bare. Neither the artist nor viewer can take refuge – art in black and white carries a concise message and demands our immediate attention. This entry was posted in Uncategorized on April 2, 2015 by moichabrahams. ‘The London Art Book Fair 2014 , at the Whitechapel Gallery, is finished now. My first little ‘monograph’ about my art , was ‘launched’ at the fair, on the London Group table. 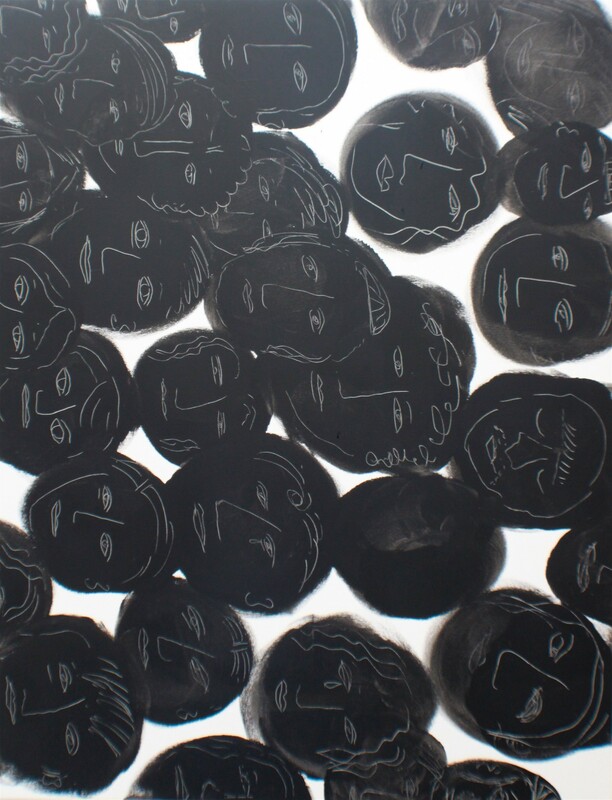 The London Art Book Fair (26 – 28 September 2014) celebrated the best of international contemporary art publishing. Browse artists’ books, rare art publications and catalogues from a range of 95 independent publishers and enjoy a programme of talks, workshops and book signings. This entry was posted in Uncategorized and tagged Modern Art, Moich Abrahams, monograph, Paintings, The Ben Uri Gallery, The London Art Book Fair, The London Group, The Whitechapel Gallery on September 30, 2014 by moichabrahams. This entry was posted in ArtBooks, Exhibitions and tagged Modern Art, Moich Abrahams, monograph, Paintings, The Ben Uri Gallery, The London Art Book Fair, The London Group, The Whitechapel Gallery on September 30, 2014 by moichabrahams.